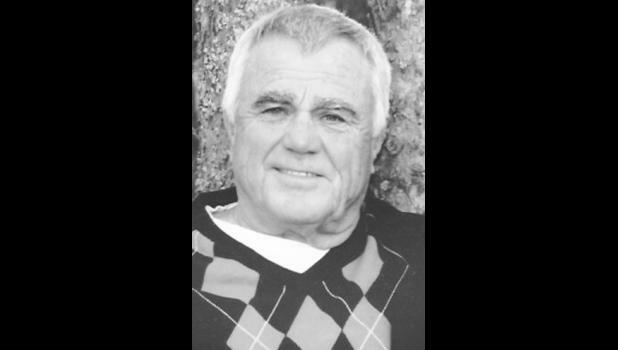 Denzel Everett Long, 71, of Plano, Texas, passed away on Thursday, Dec. 3, 2015. He was born Feb. 26, 1944, in Vermillion, to Harold and Eva Gough Long. On June 30, 1962, Denzel mar­ried Barbara Jean Kennedy in Holton. After 36 years of service he re­tired from the Goodyear Tire and Rubber Co. He was an avid golfer for the next few years and then re­turned to work alongside his son, Jeff, at Rosemeade Automotive in Dallas, Texas. He is survived by his wife, Jeanne Long of Plano, Texas; chil­dren, Kevin Long and wife Staci, Jeff Long and wife Lisa and Tif­fany Vazquez and husband Jesse, all of Plano, Texas; grandchildren, Nyssa Long, Patrick Long, Austin Long, Megan Long, Jacob Long, Griffin Long, Manny Vazquez, Alexis Vazquez and Joshua Vazquez; siblings, Marvin Long of Hoyt, Almetta Bottom of Cir­cleville, Leon Long of Topeka, Dale Long of Meriden, Dwight Long of Topeka, Sandra Sawyer of Hoyt and Randy Long of Topeka; mother-in-law, Hazel Kennedy of Soldier; brothers and sisters in-law, Tom Kennedy and wife Beverly of Silver Lake, Sue Kennedy of Topeka, Mike Kennedy and wife Mary of Soldier, Pat Kennedy of Circleville and Karen Othmer and husband Treve of Topeka; numer­ous nieces, nephews and other loving relatives and friends. Denzel was preceded in death by his parents, Harold and Eva Long; and father-in-law, Robert Kennedy. Graveside service will be held at 11 a.m. Saturday, Dec. 12 in Olive Hill Cemetery, Soldier. A Celebra­tion of Life will follow immedi­ately at Circleville Christian Church, Circleville, with Blair Wagner officiating.